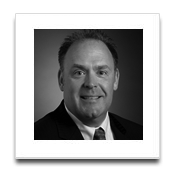 Alan joined EBIT Associates in 2015 and enjoys working with small to medium sized businesses. Borrowing from the structure and discipline gained as an experienced commercial pilot he enjoys helping companies implement policies, procedures and strategies that will position them for profitability as part of an exit strategy or continued long term growth. In addition to his aviation experience he has owned and operated several small businesses in e-commerce, logistics and trucking and healthcare.